Gareth Lappin. Picture by Pat Cashman/cashmanphotography.ieBelvoir Park’s Gareth Lappin put his name on the Irish Boys title in style when he ran out an eight-shot winner at Hermitage. Having opened his acccount with a 69, he added solid rounds of 73, 70 and 75 to win with ease on three over from Galway’s Ronan Mullarney who also took the Under 17 trophy. The Island’s Kevin Le Blanc from The Island took the Under 16 trophy while fellow clubman and Iish Amateur Open champion Gavin Moyninhan had to settle for fourth. Moynihan fired a four under 67 to charge right back into contention but a closing 77 saw the Dubliner finish in fourth place, ten shots behind the champion. Winner Eoin Leonard playing his tee shot at the 12th during the final round of the Titleist Footjoy Ireland sponsored 2013 Leinster Boys’ Amateur Open at Co Meath. Picture by Pat CashmanWentworth’s Eoin Leonard dramatically birdied the 18th to claim the Leinster Boys Amateur Open at County Meath. 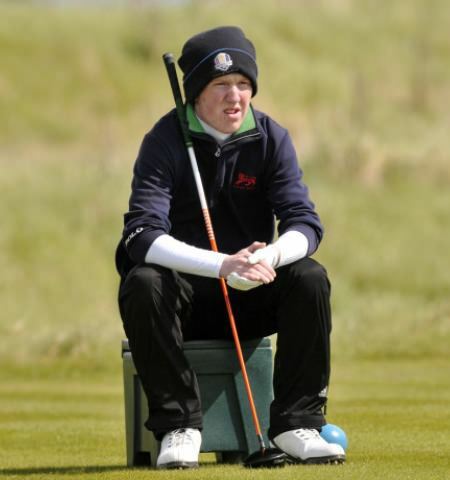 Gareth Lappin will face team mate Robin Dawson in the British Boys at Hoylake. 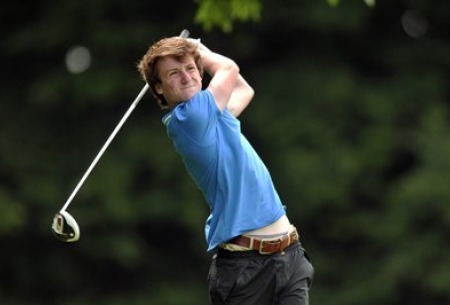 Picture Jenny Matthews/www.golffile.ieBelvoir Park’s Gareth Lappin will face Irish team mate Robin Dawson of Faithlegg on the opening day of matchplay combat in the British Boys Amateur Championship at Royal Liverpool.